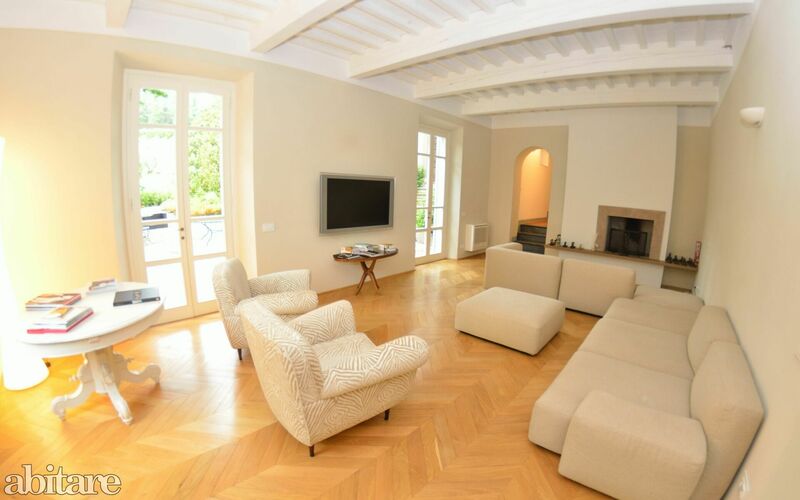 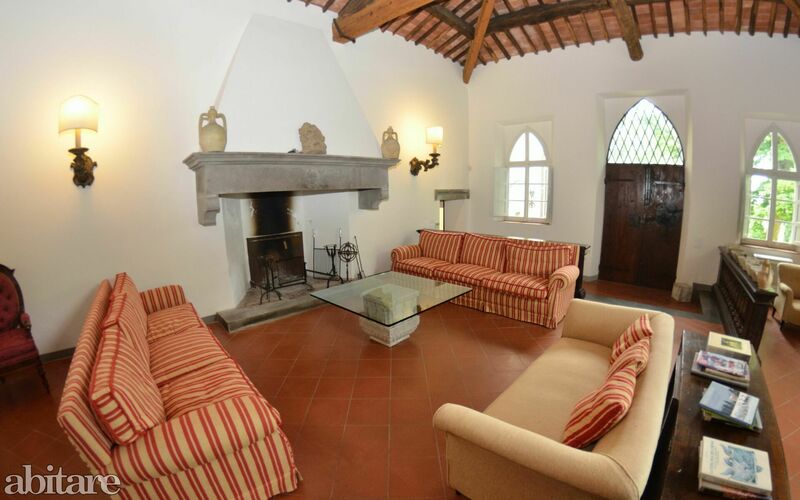 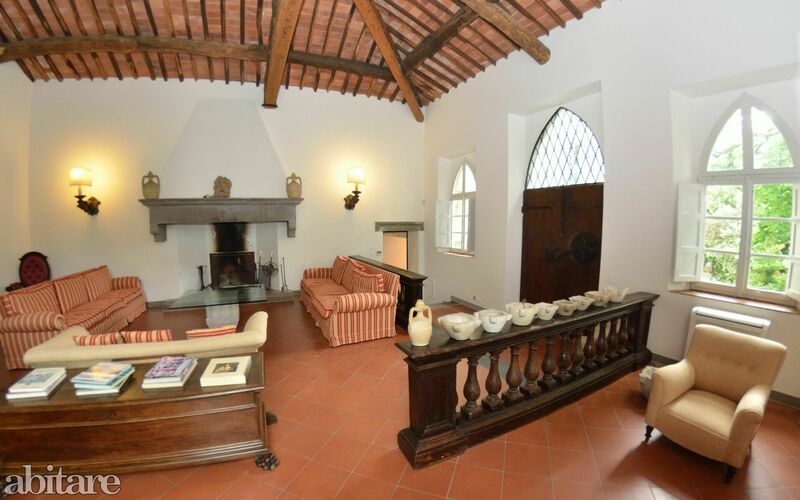 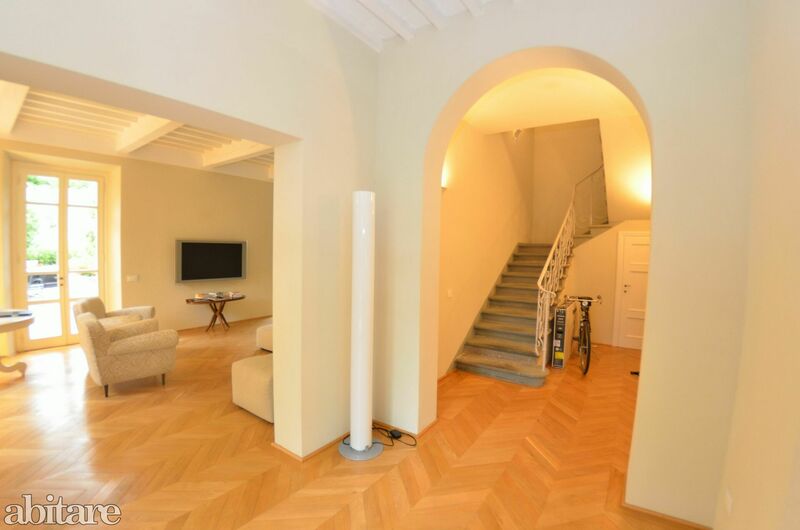 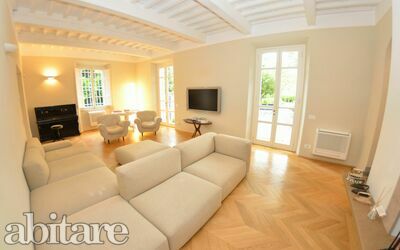 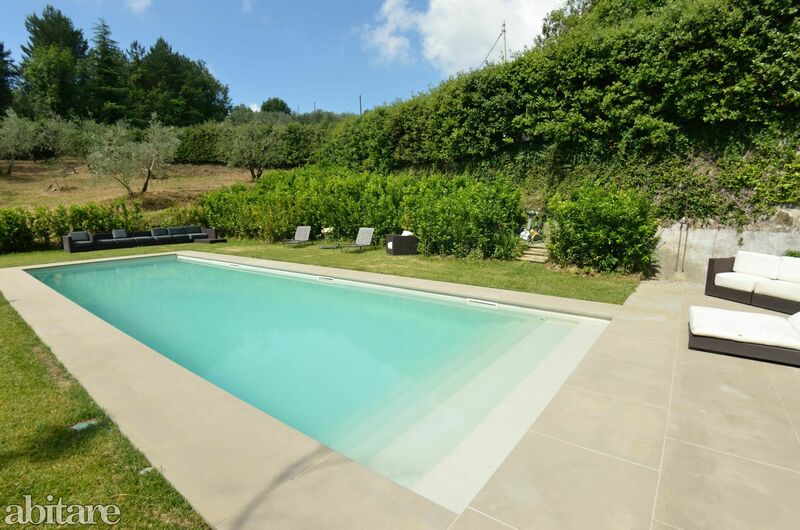 Very tasteful renovated dream villa which is located on a farm, surrounded by 60 hectares, covered with vineyards, olive groves and fruit trees. 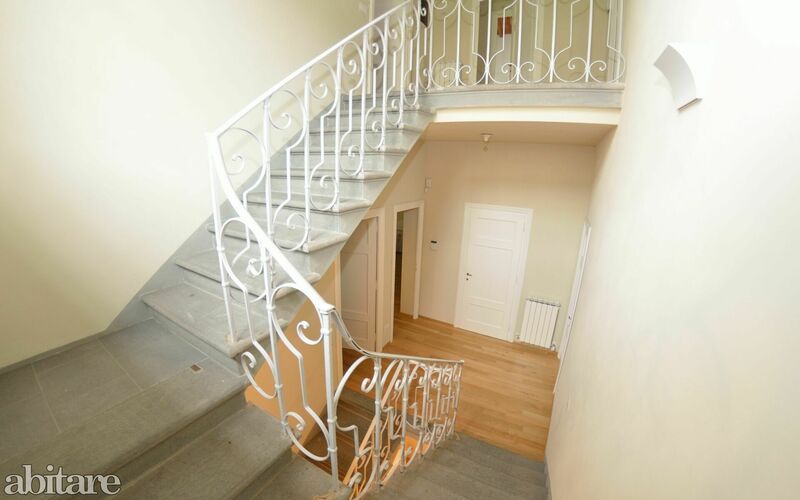 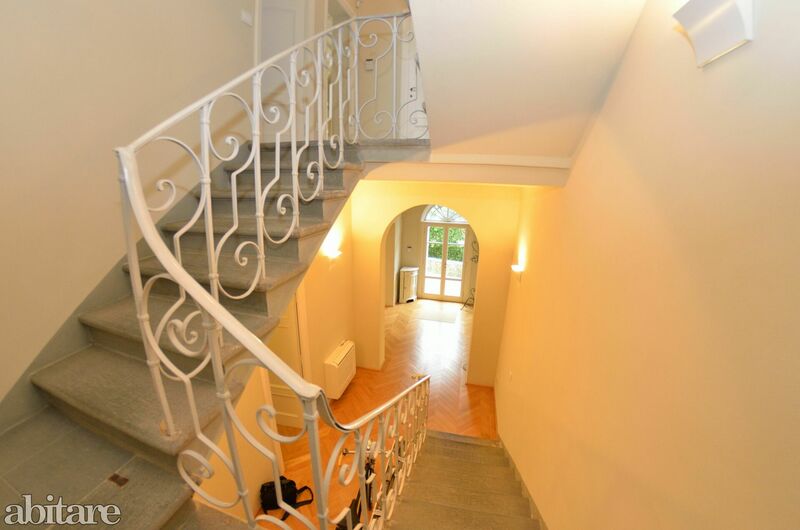 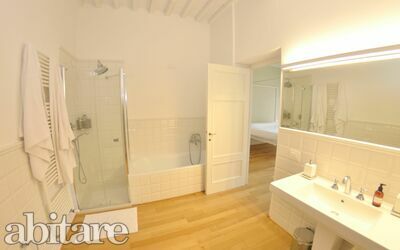 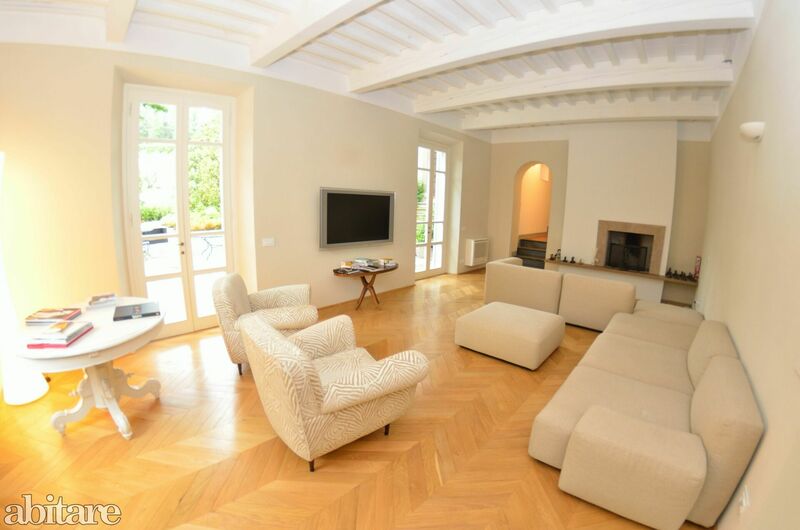 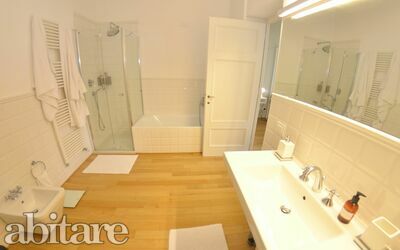 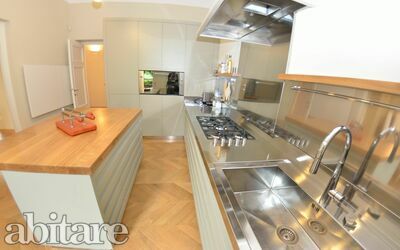 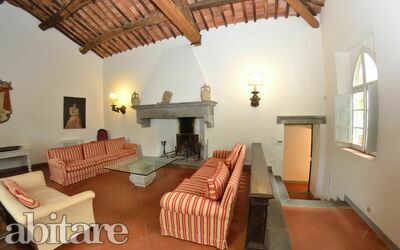 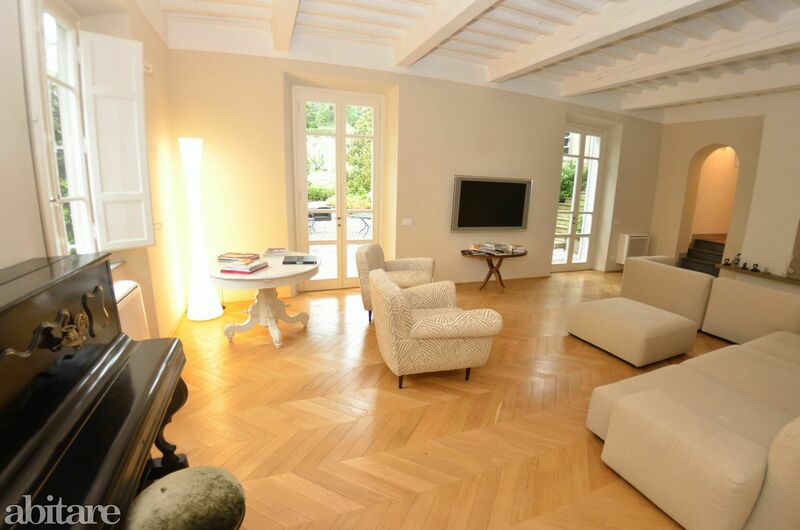 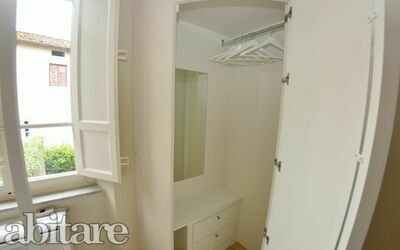 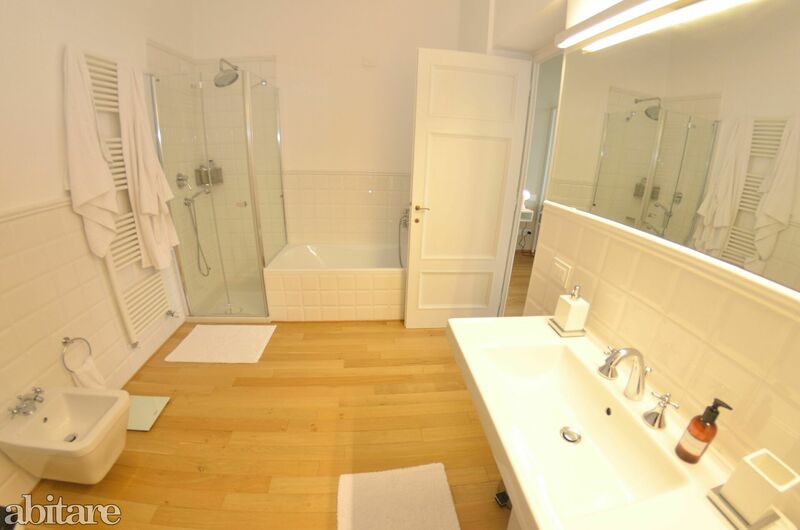 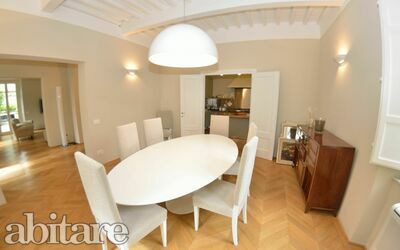 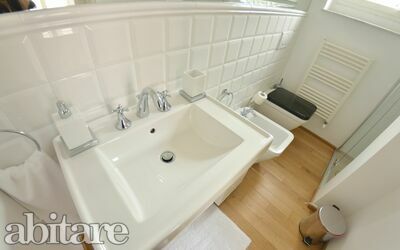 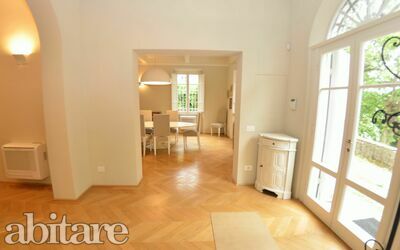 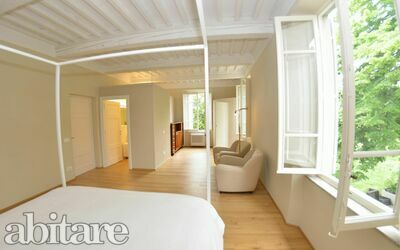 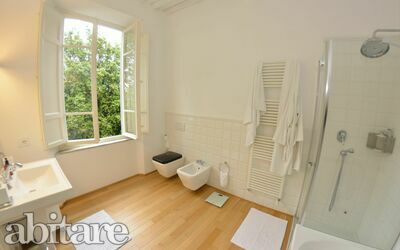 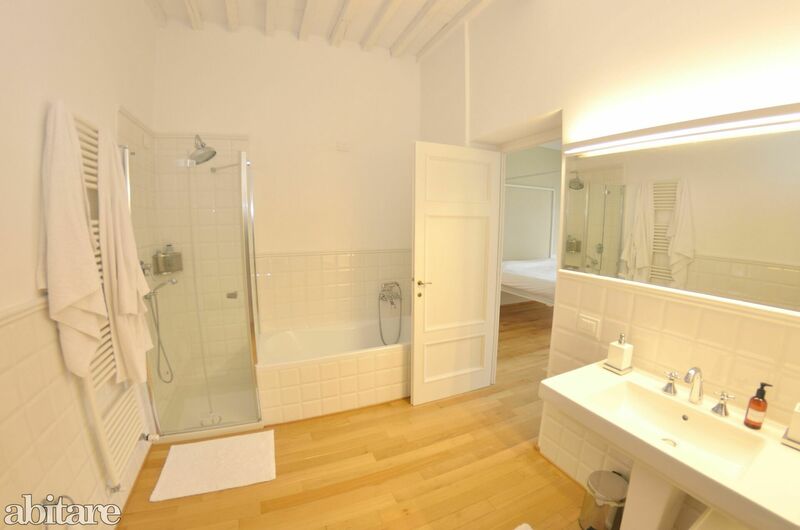 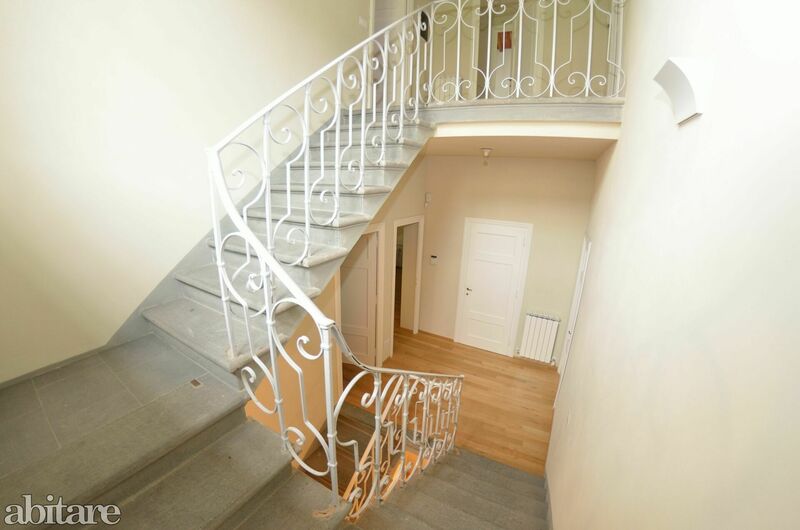 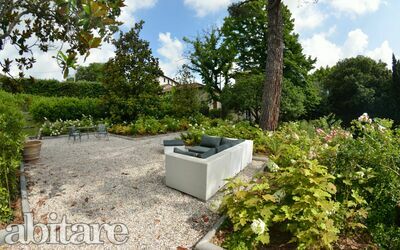 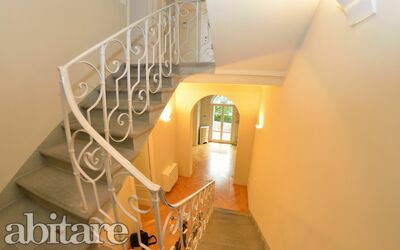 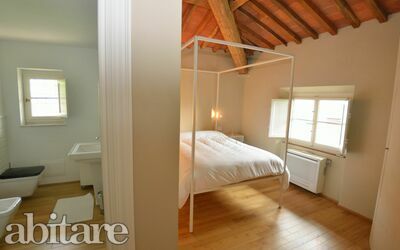 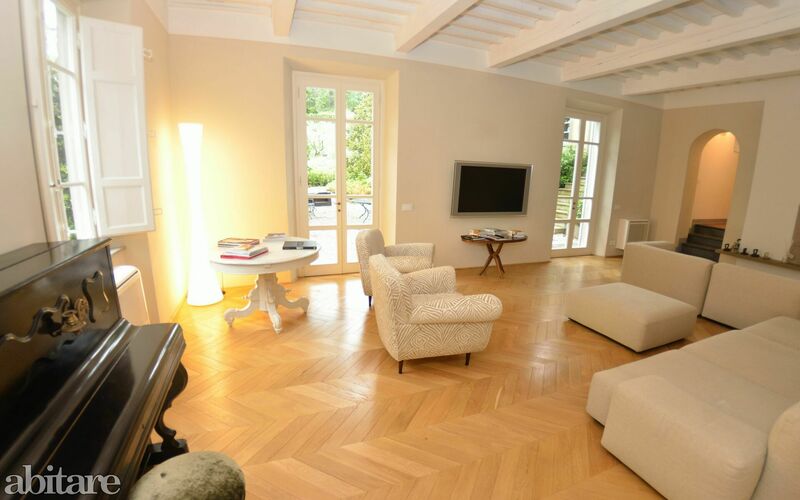 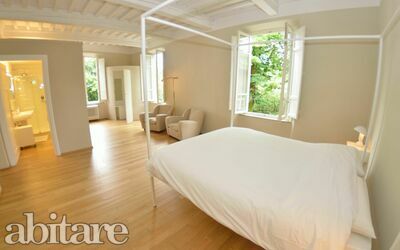 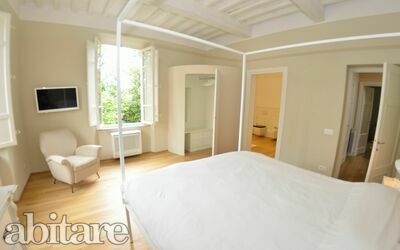 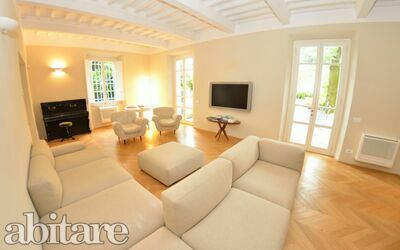 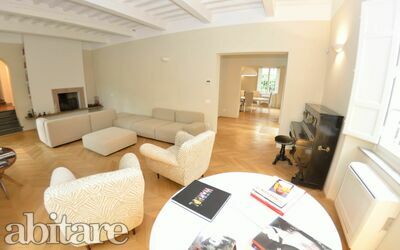 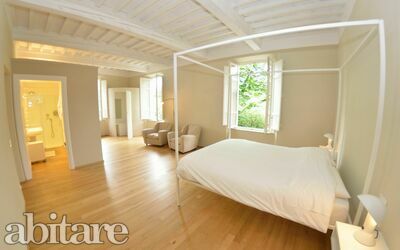 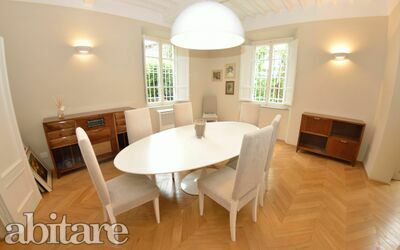 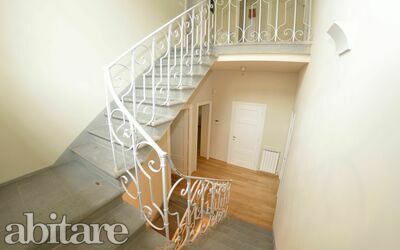 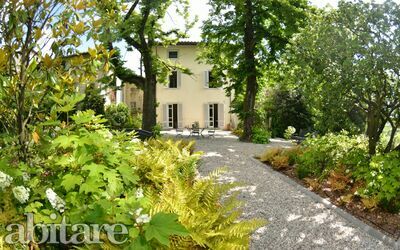 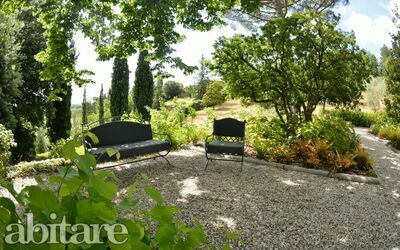 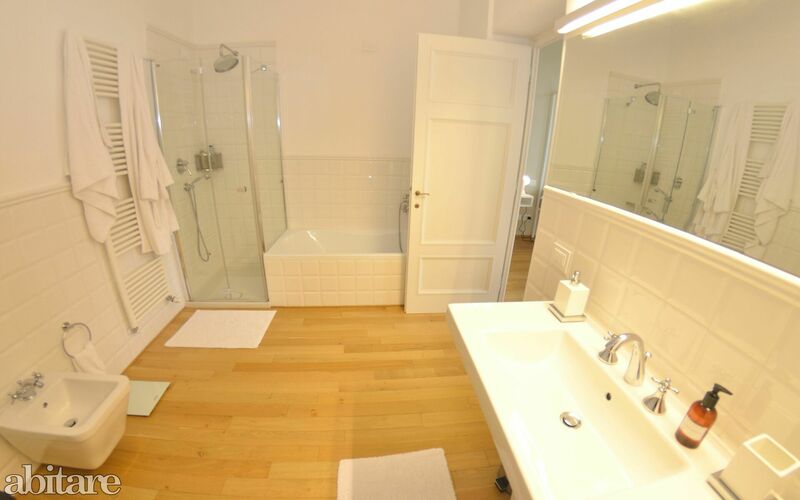 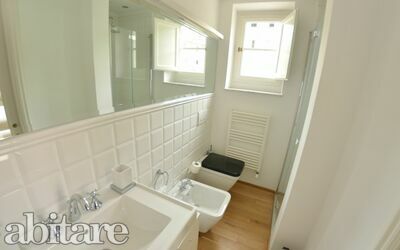 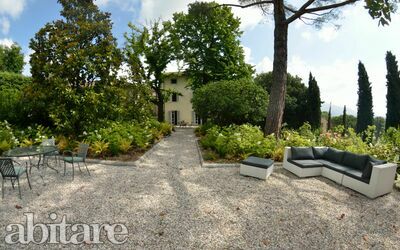 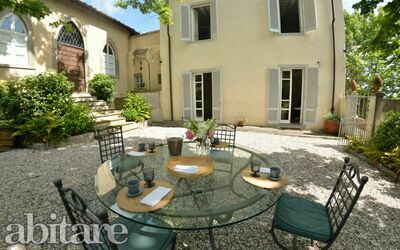 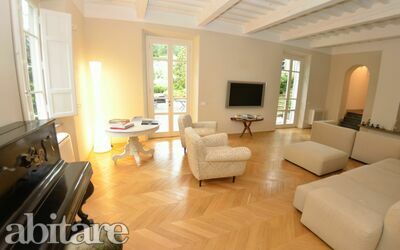 The villa is set in a magnificent garden (4’000 qm) which was designed by an well-known international architect. 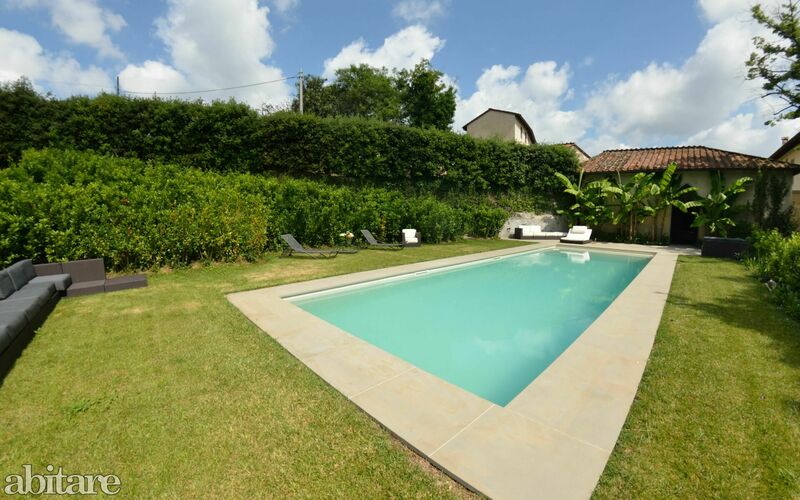 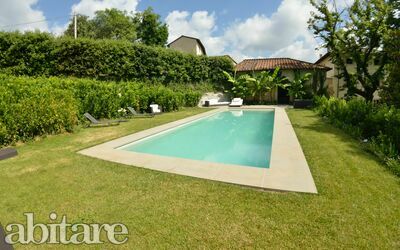 The garden is completely fenced with high hedges and disposes of a big swimming pool (built in earth – 15 x 4.5m, depth: 1.60m) which is at the exclusive use of the guests. 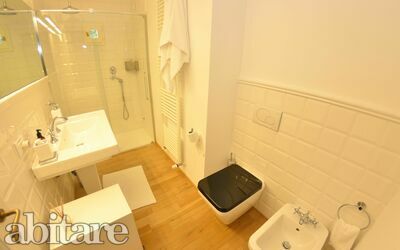 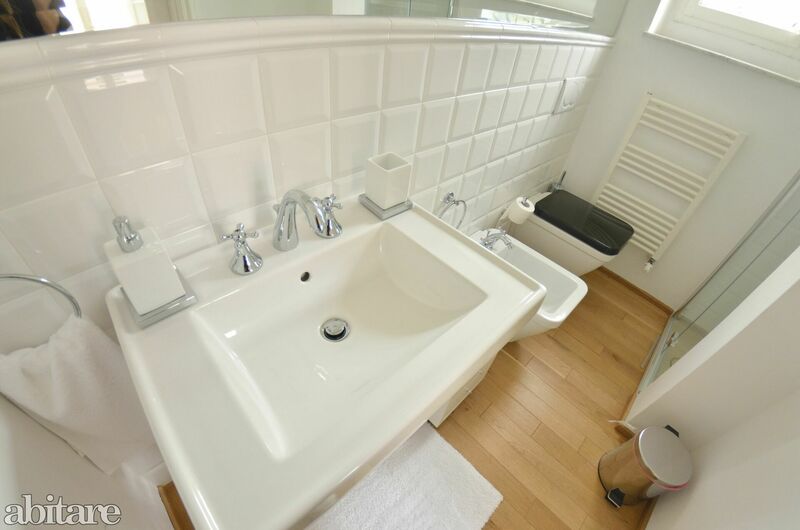 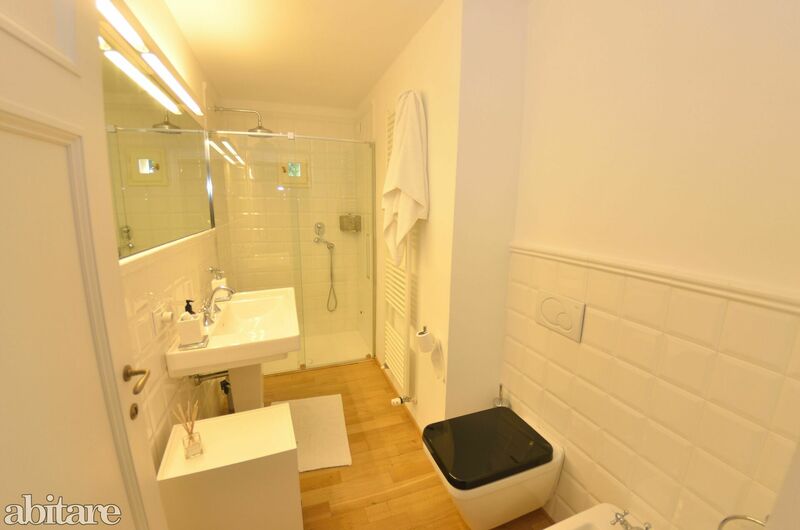 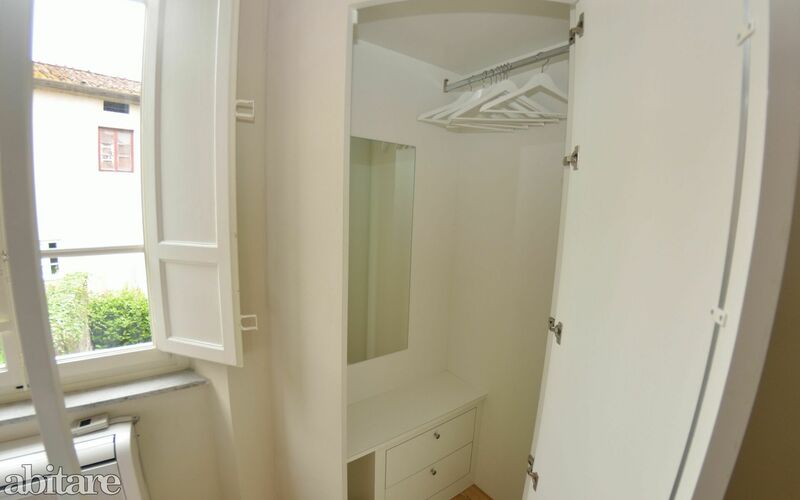 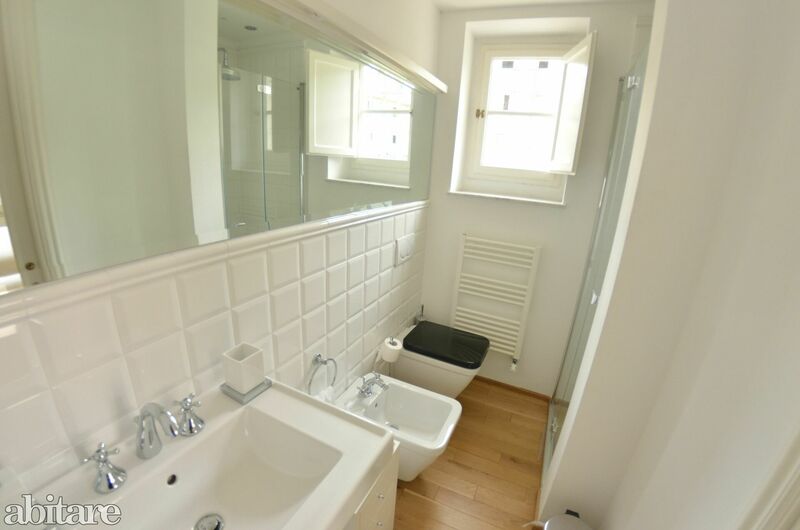 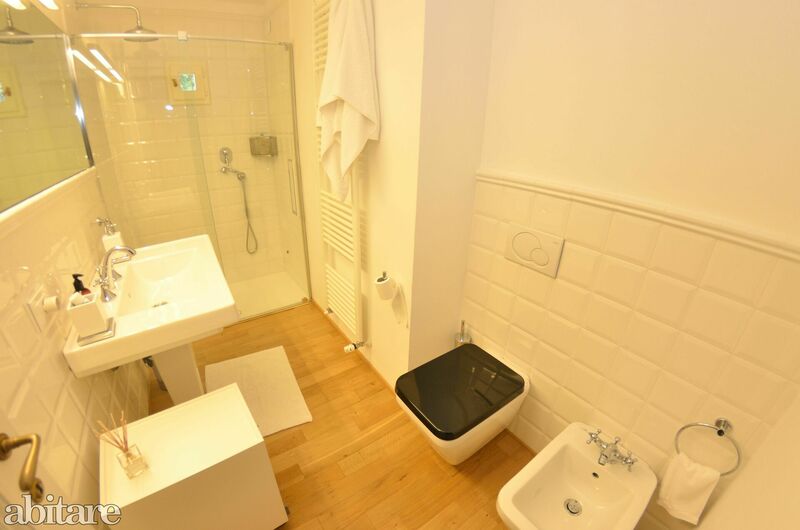 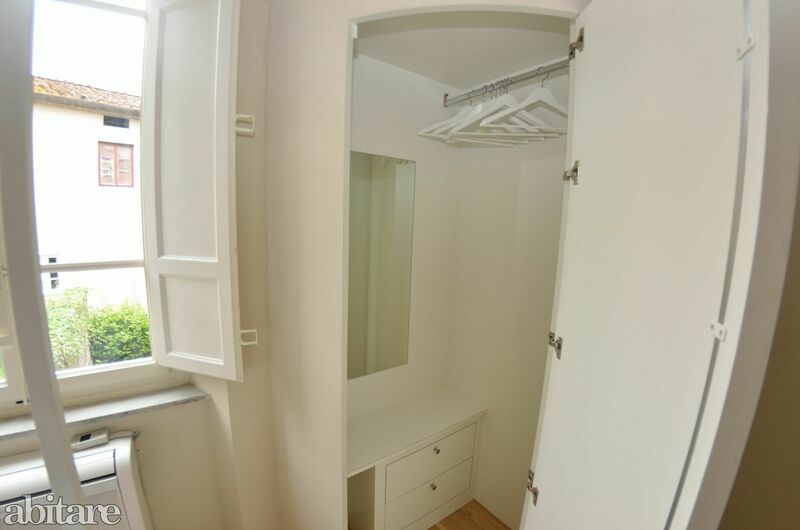 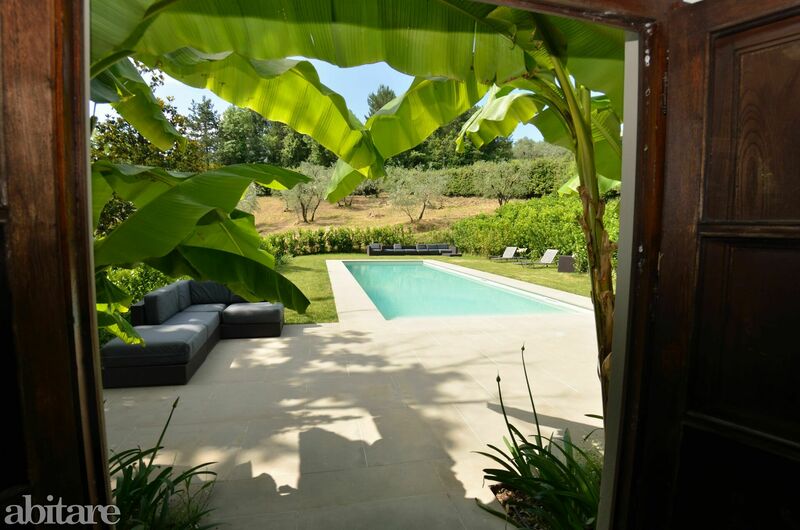 Guests who decide to spend their holidays in this villa will find an exclusive ambiance – spacious livings, very modern kitchen, 6 double bedrooms each with its private bathroom and magic angles in dreamy garden. 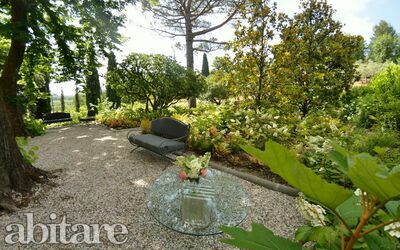 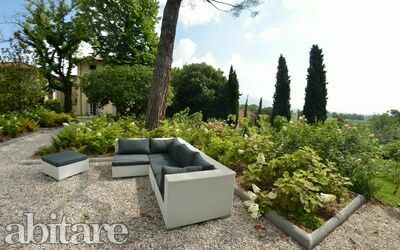 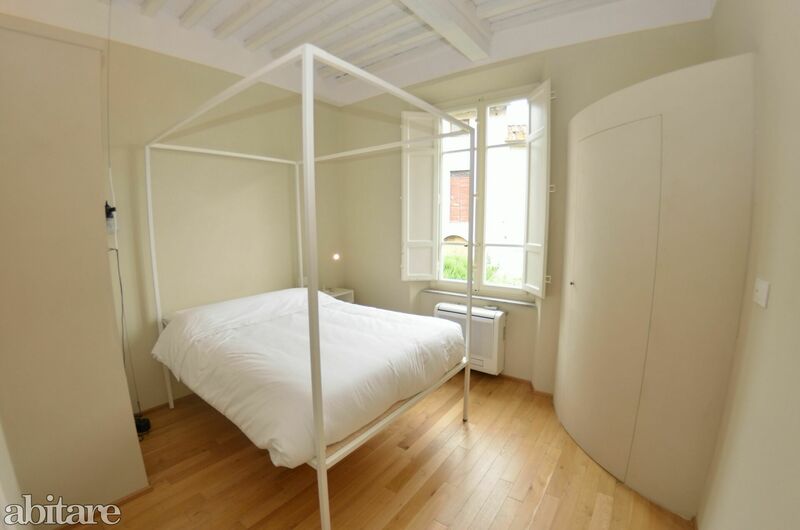 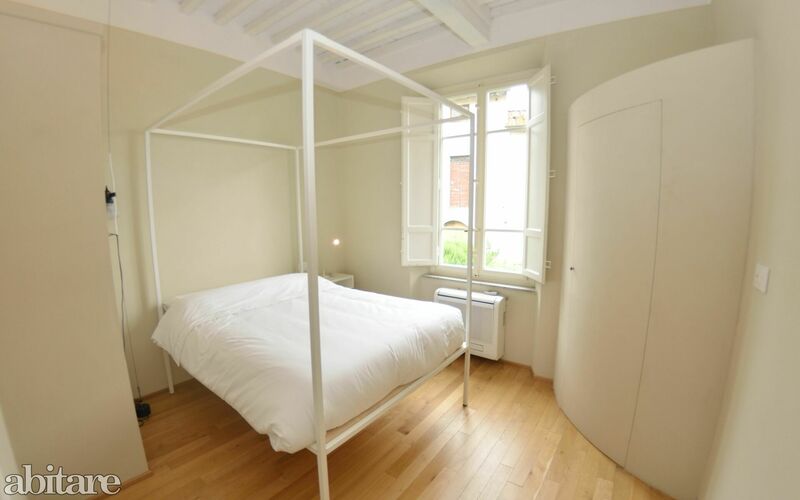 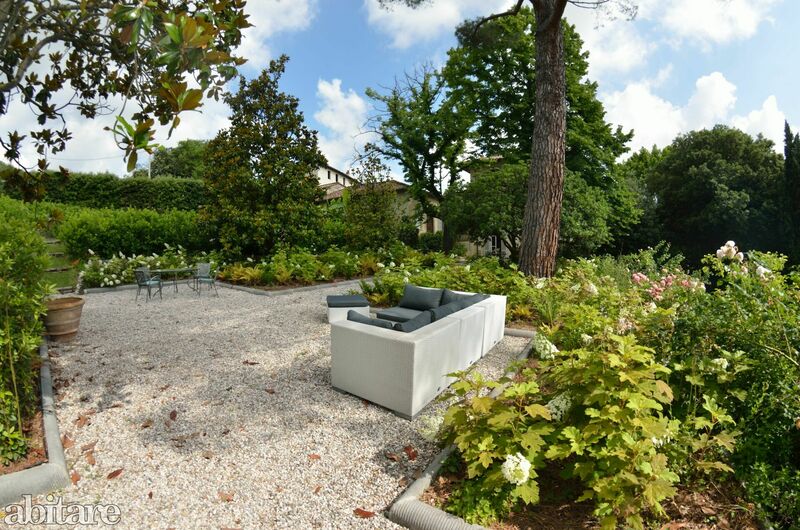 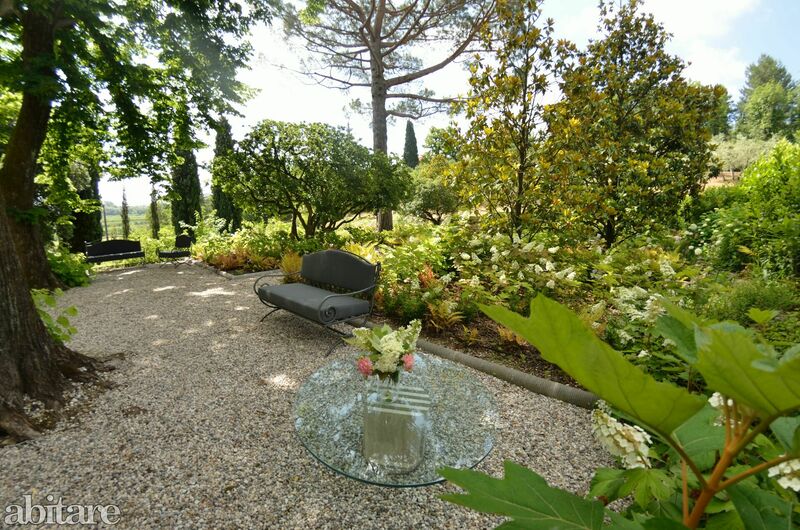 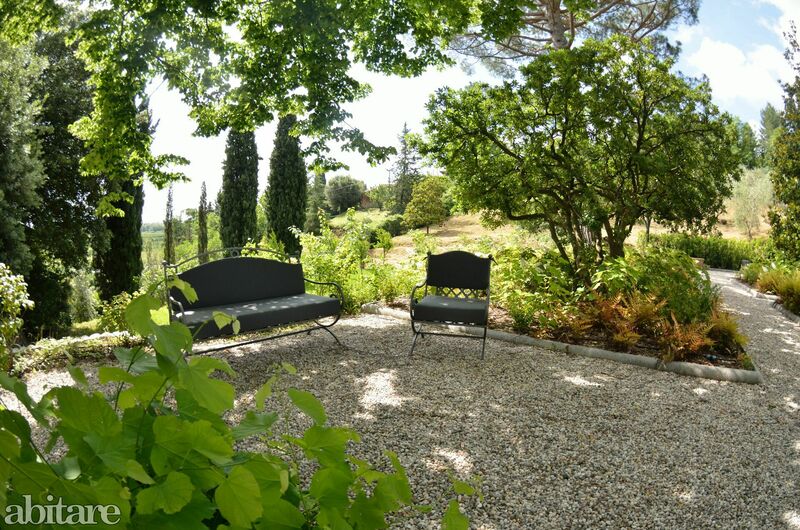 The garden is very well-kept – many flowerbeds, ancient trees, tables made of crystal and iron-made chairs (the trademark for all the garden furnishings is the well-known and expensive trademark Unopiù), various niches with couches and upholstered chairs. 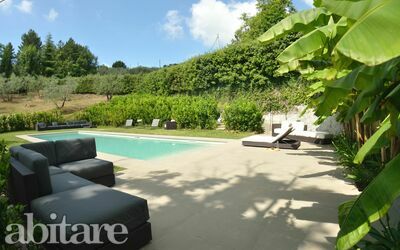 From the spacious living access to the swimming pool – this area is equipped with single- and double sunbeds, sun-umbrellas and barbeque. 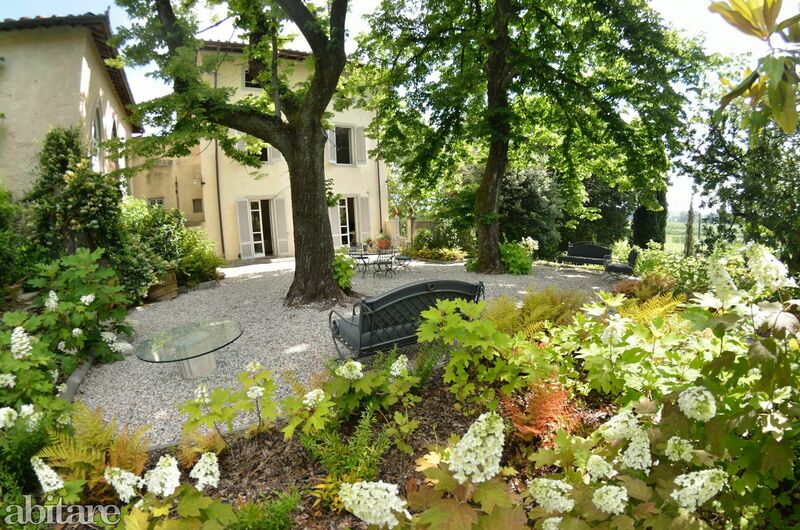 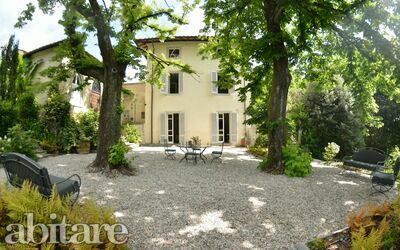 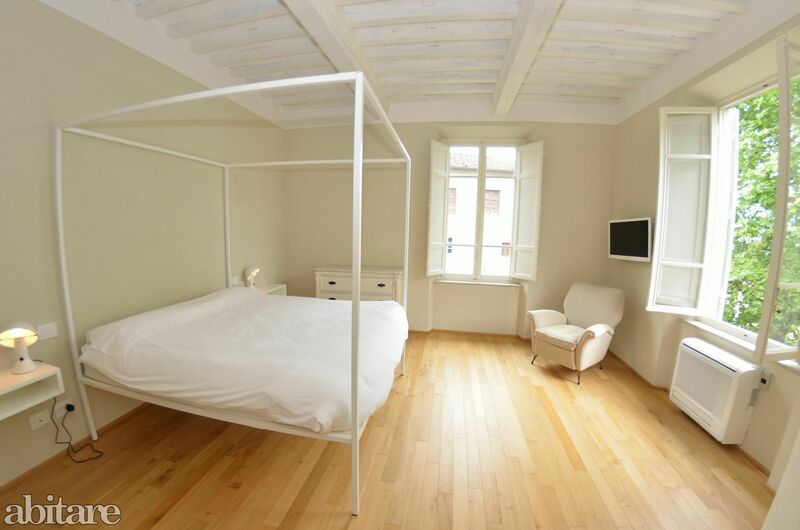 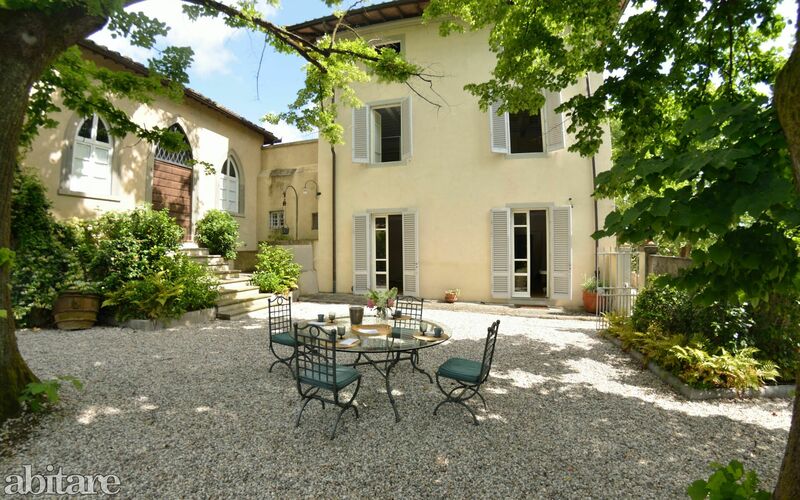 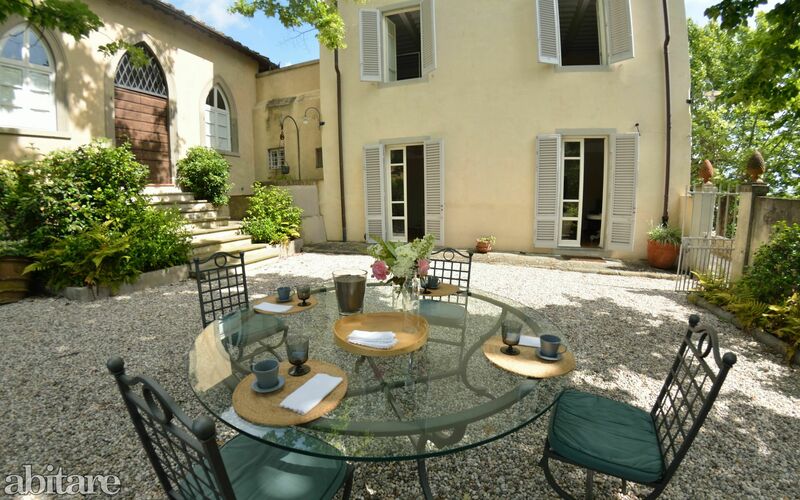 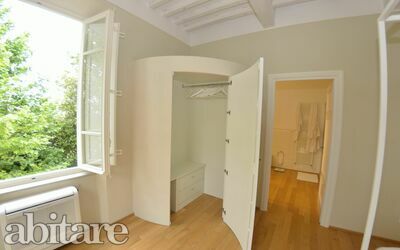 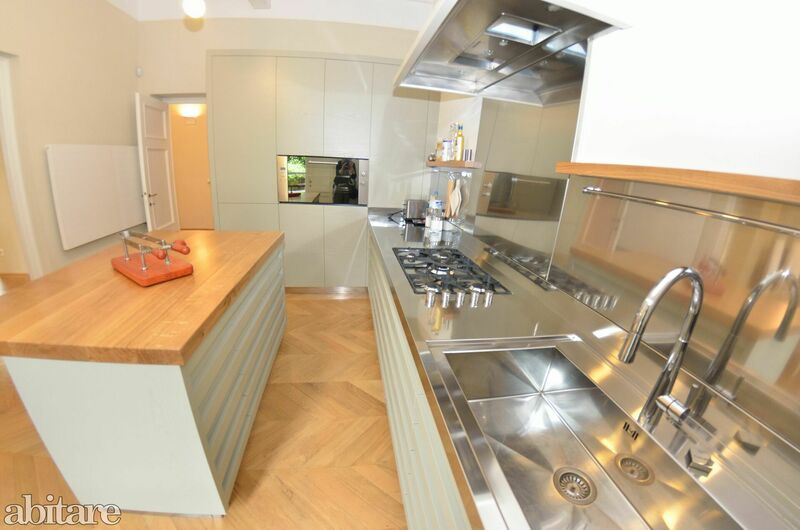 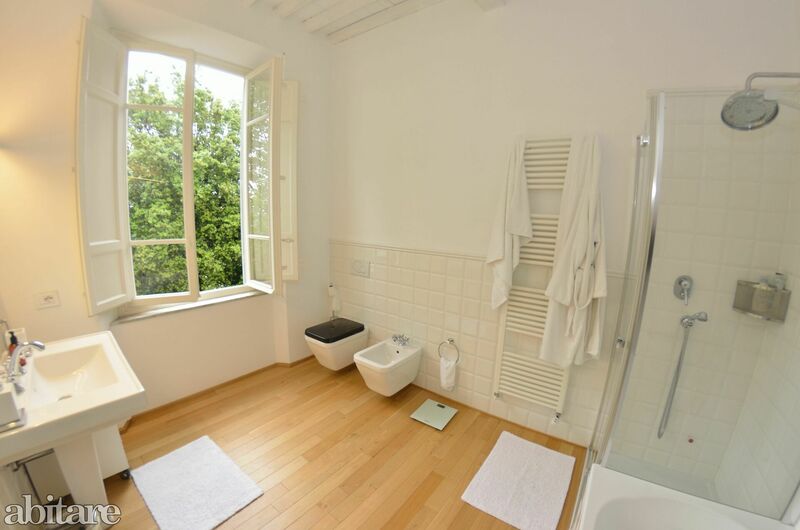 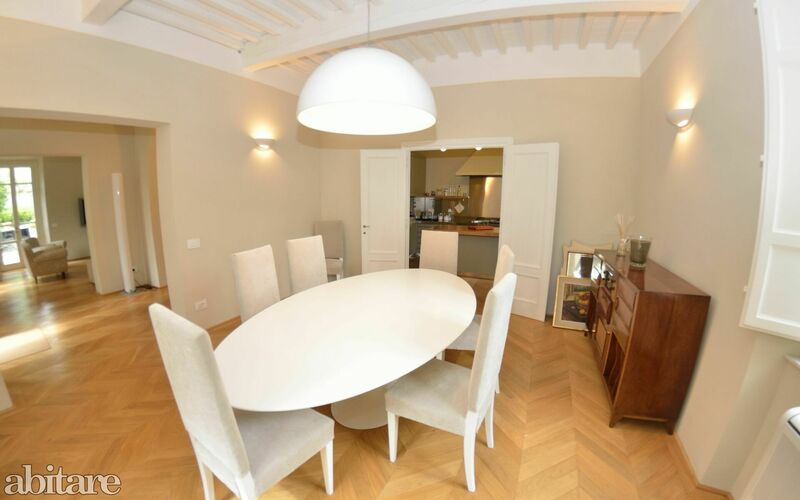 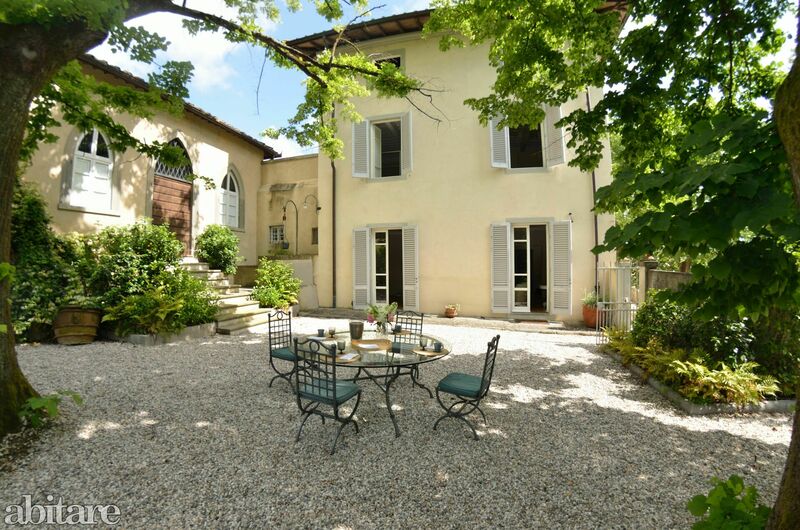 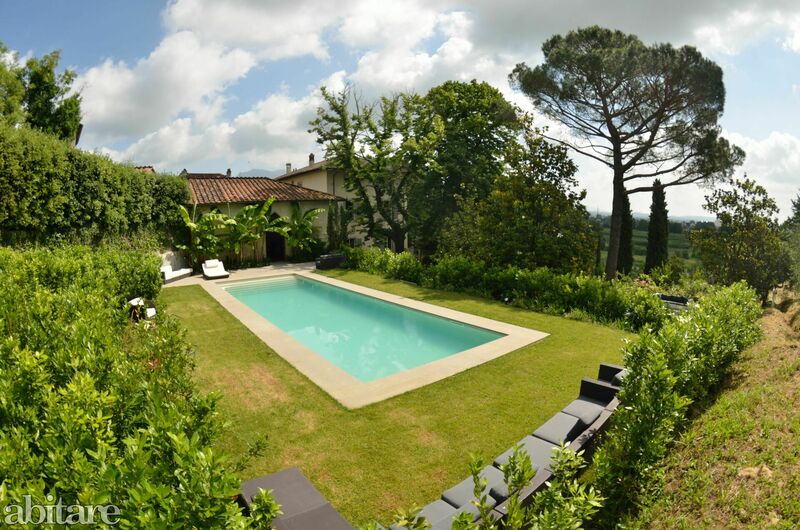 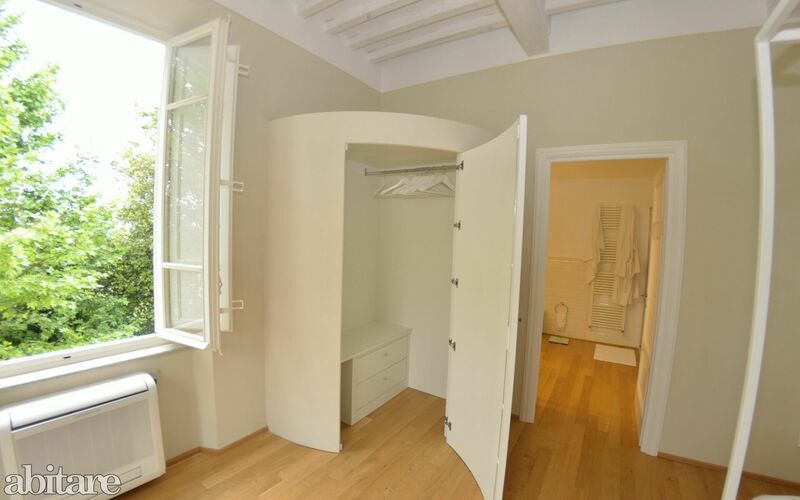 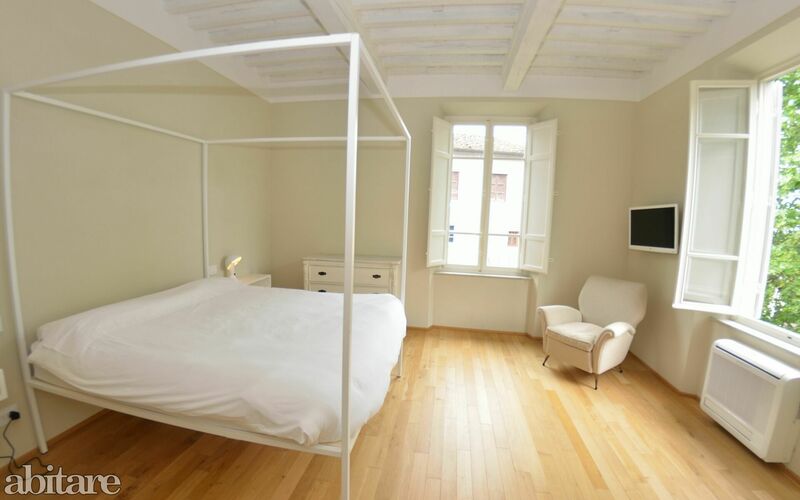 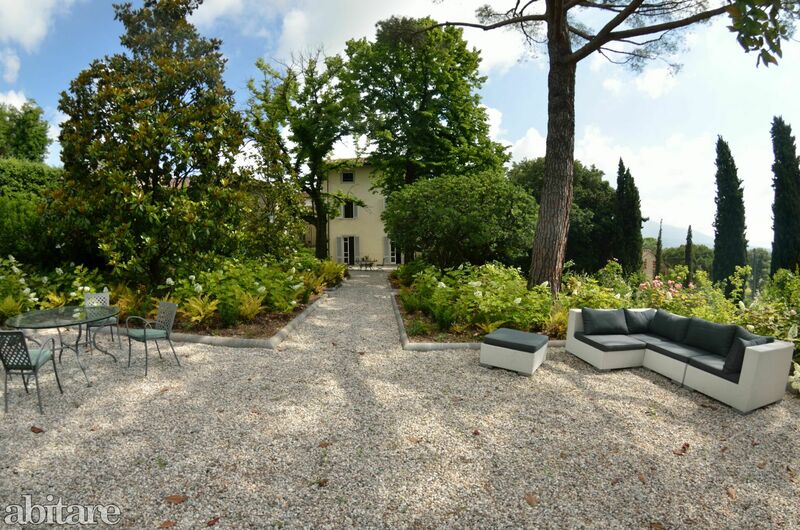 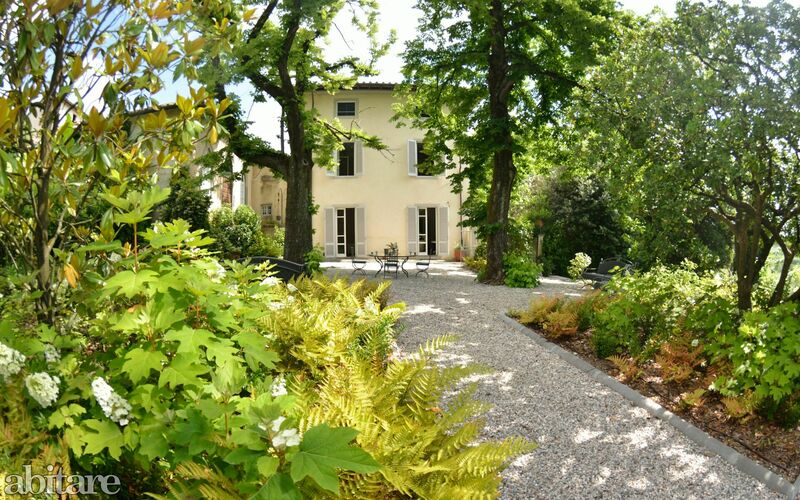 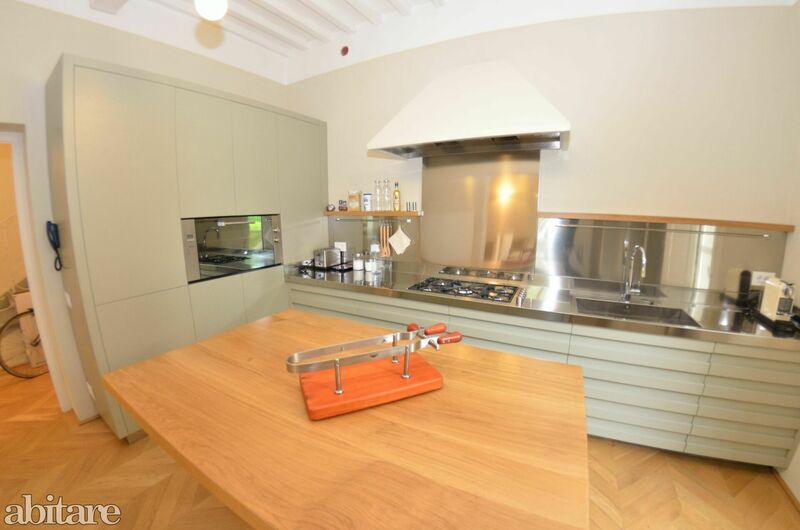 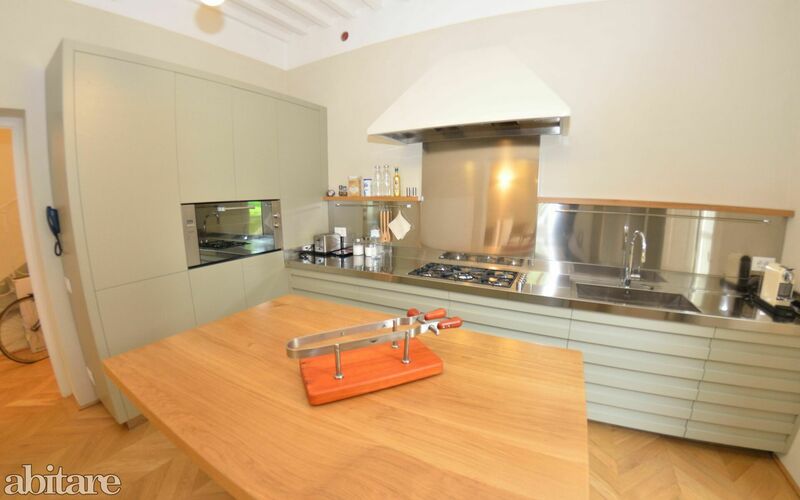 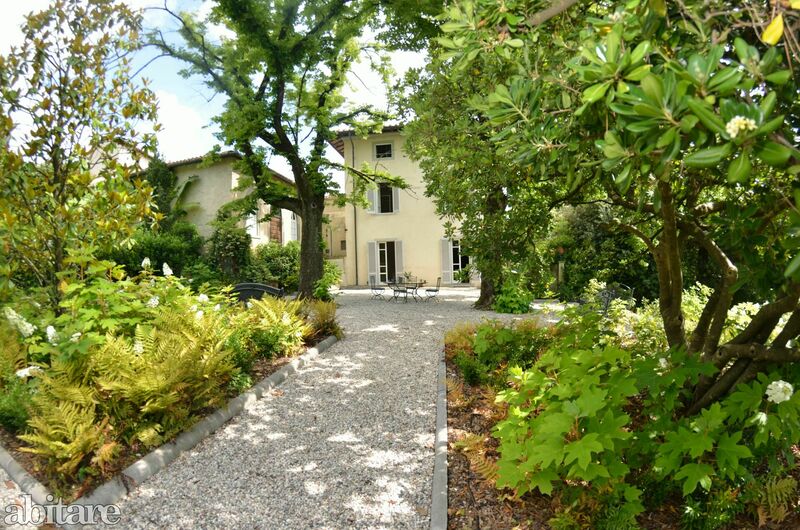 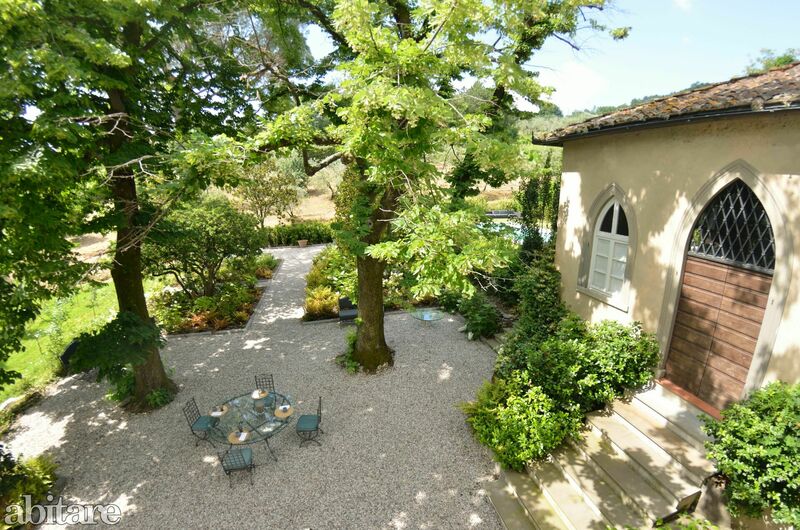 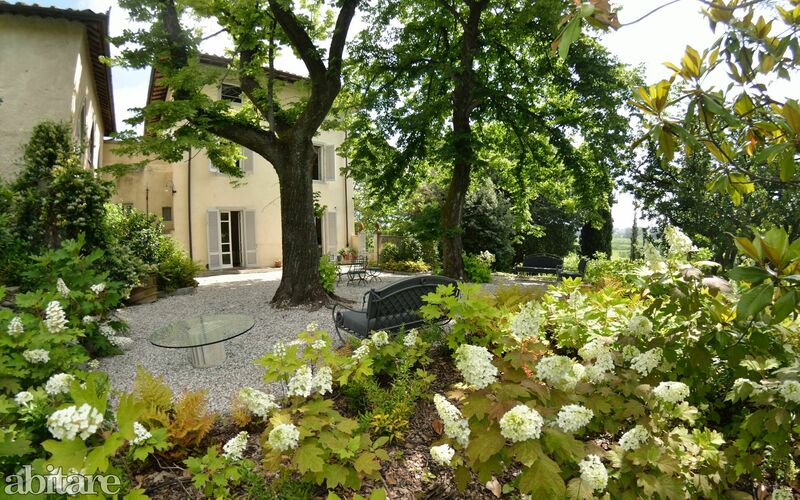 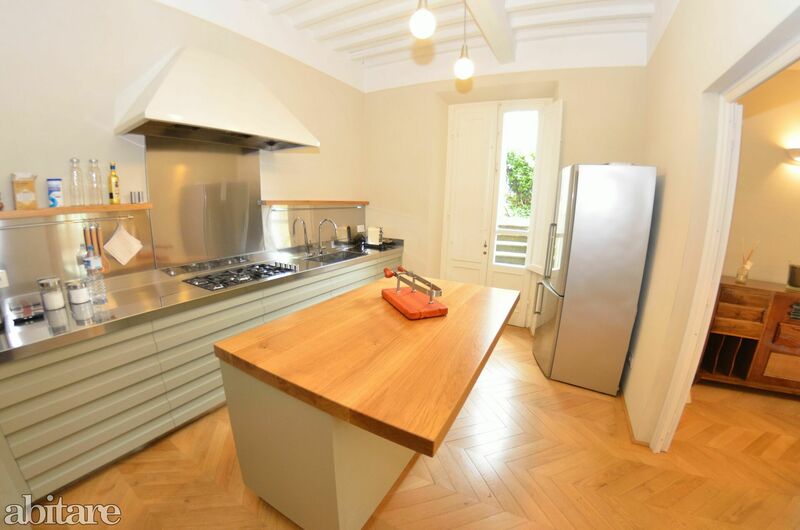 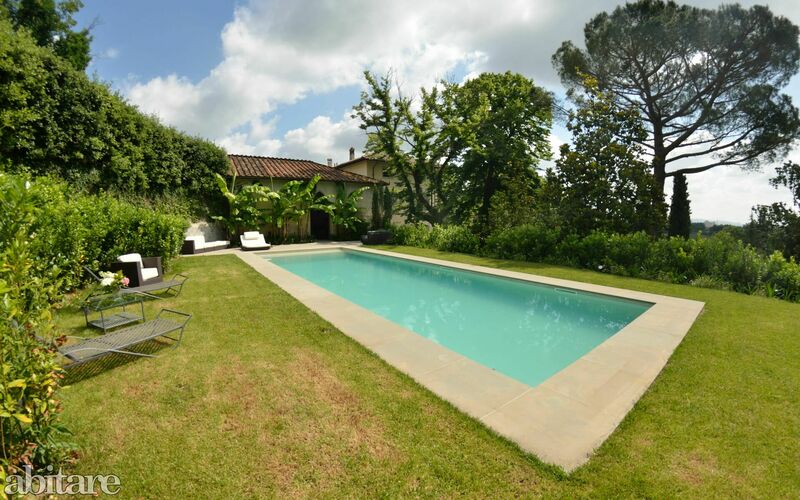 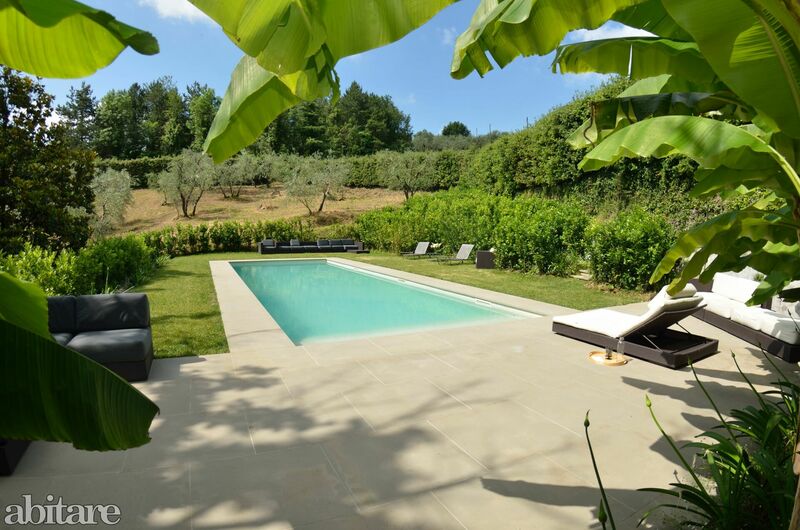 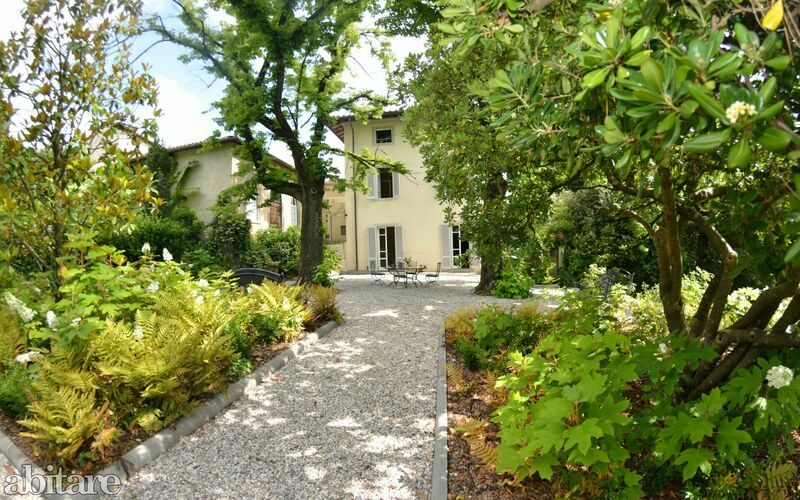 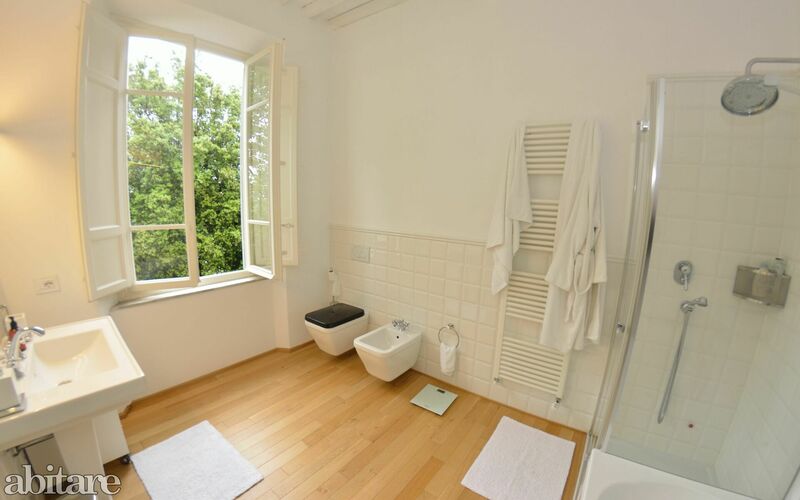 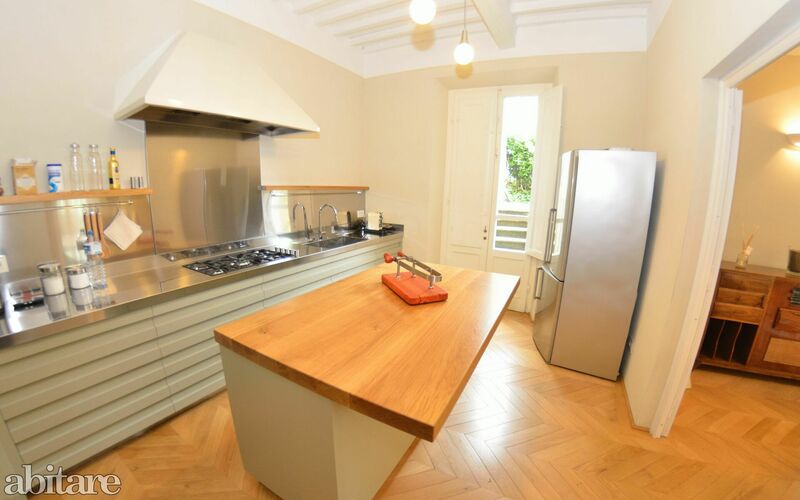 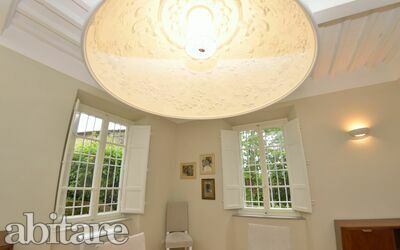 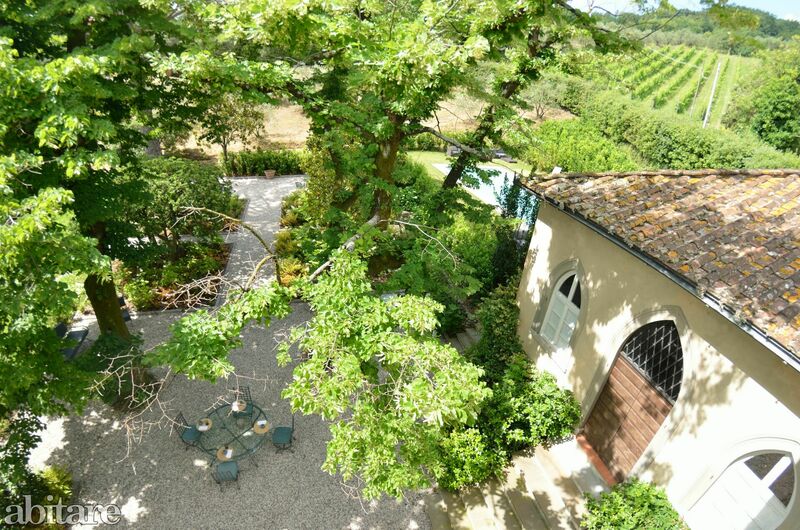 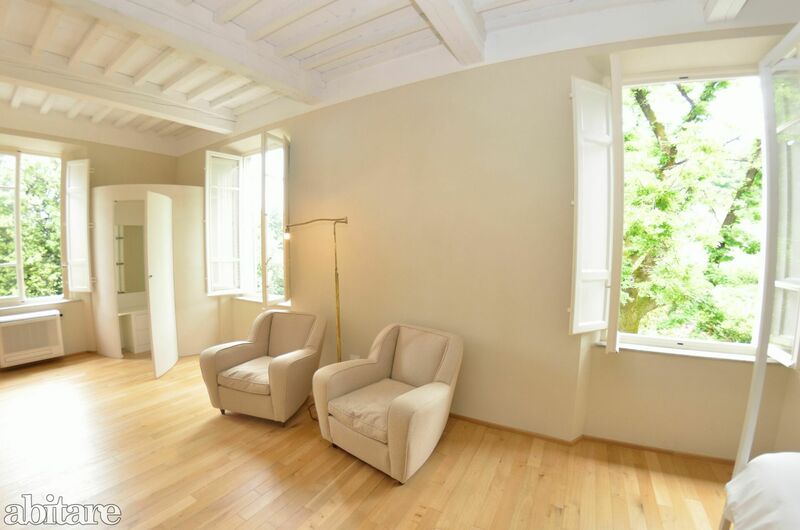 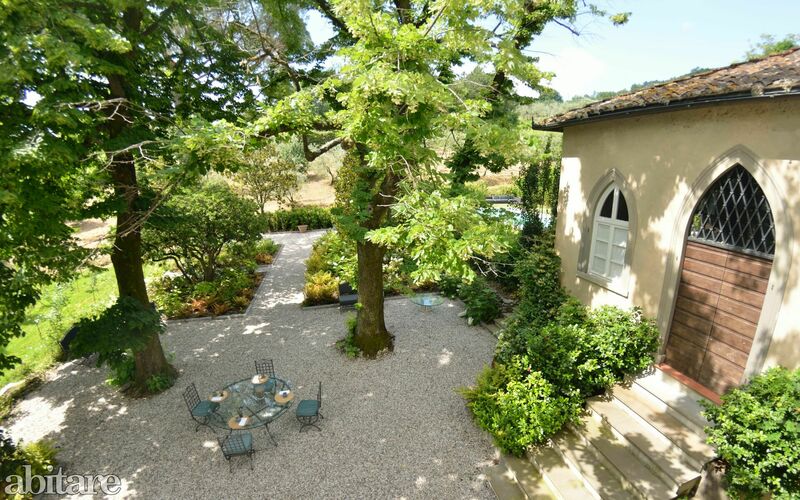 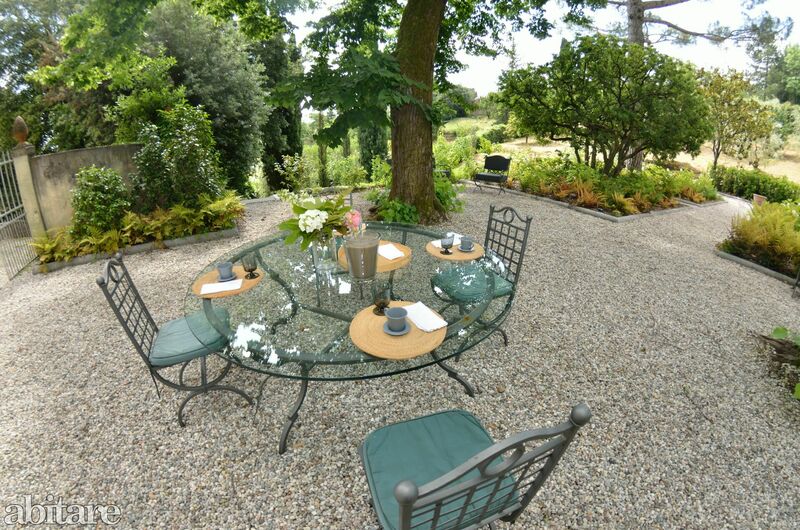 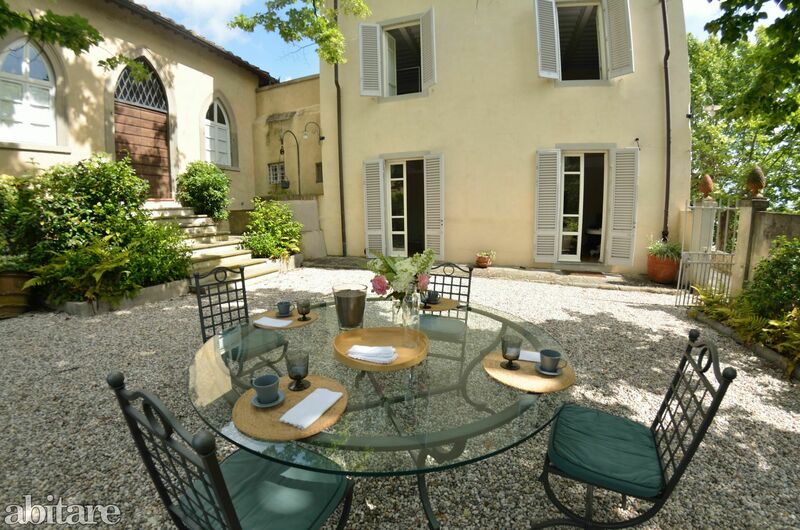 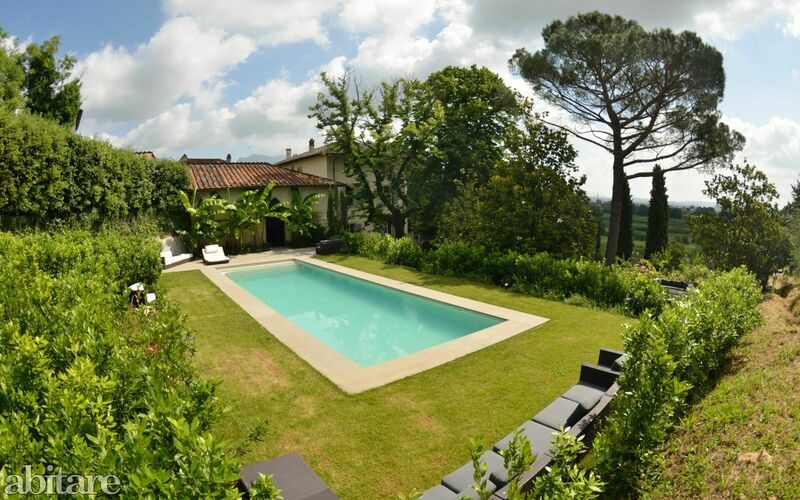 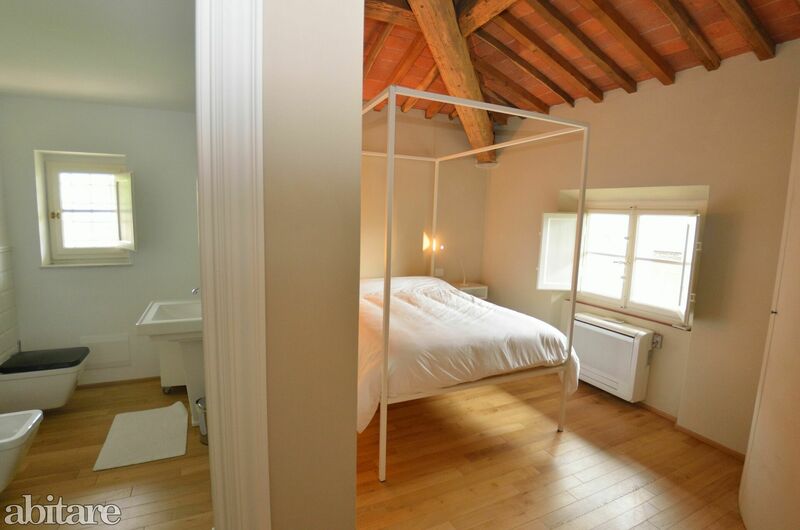 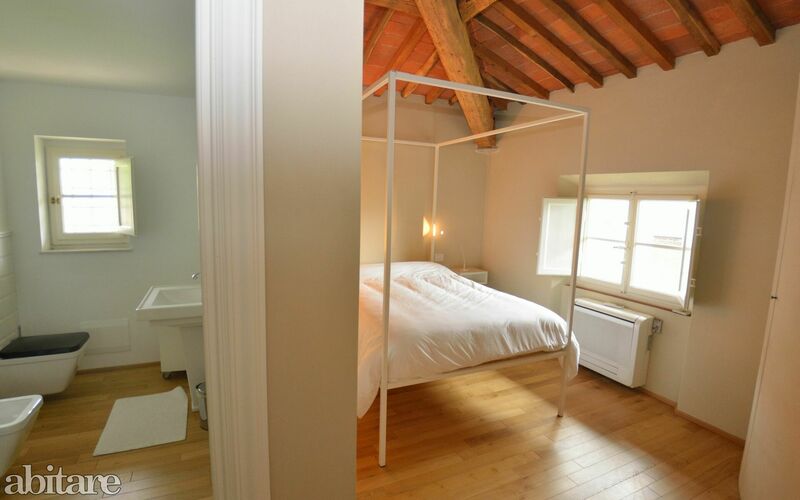 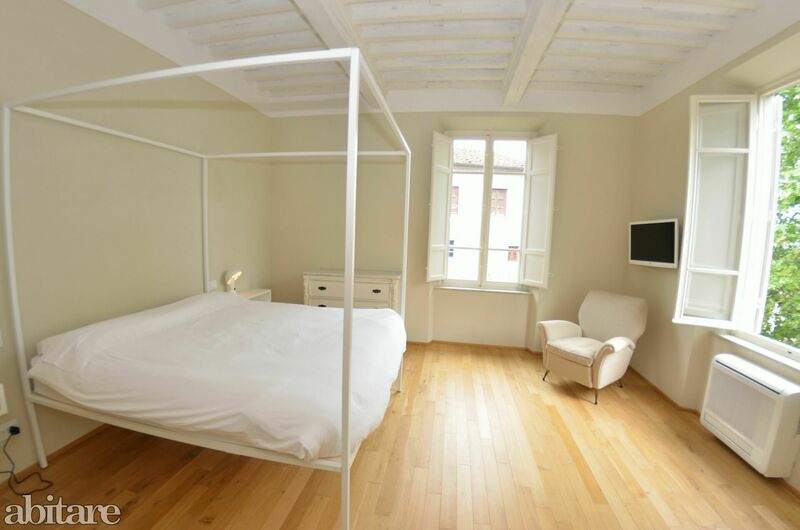 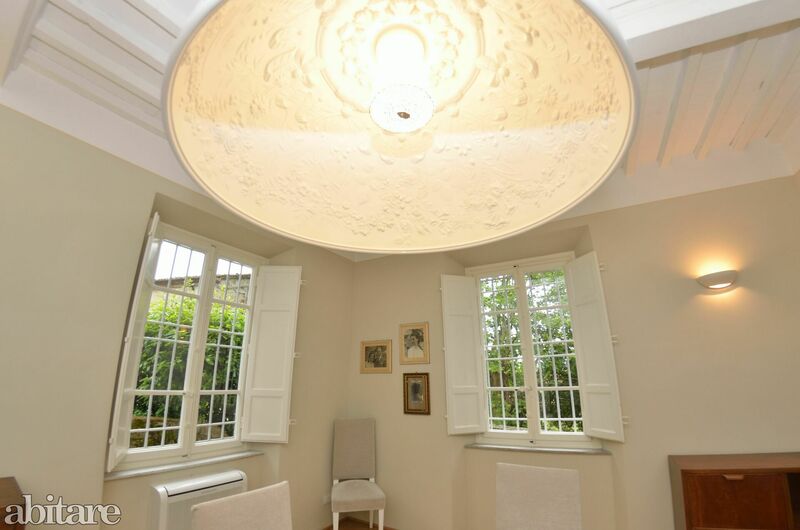 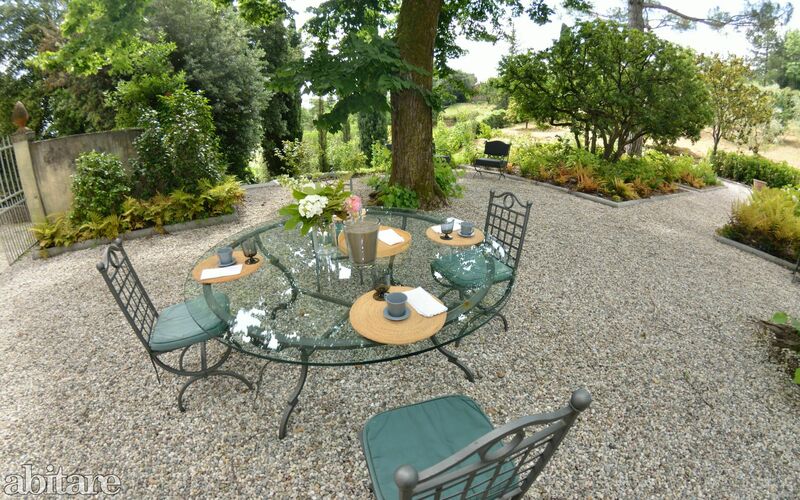 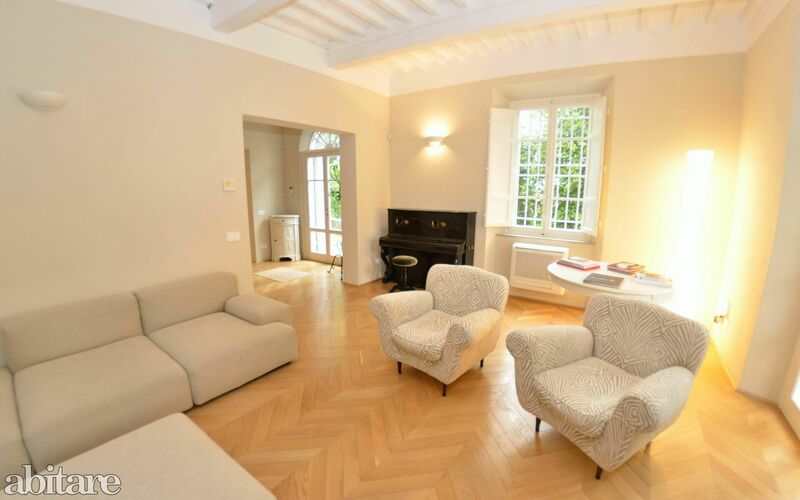 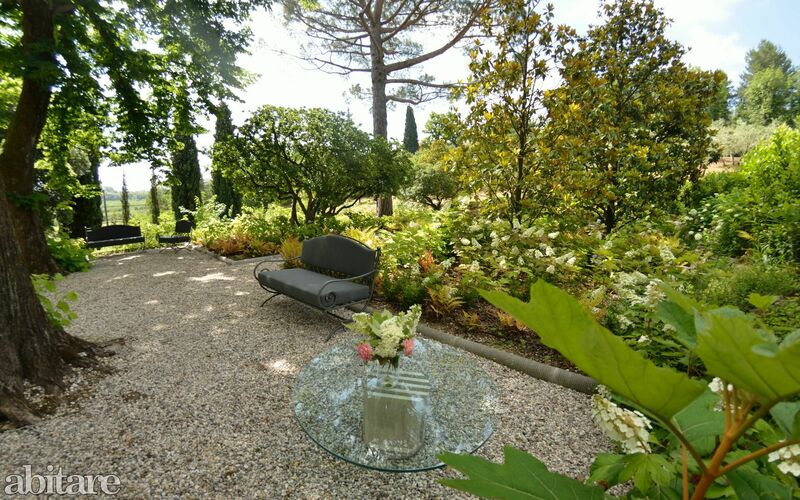 The villa is set amidst olive groves and vineyards, only 7 km from the city centre of Lucca, 25 km from Pisa and 35 km from the wonderful sandy beaches of the Versilia coast. 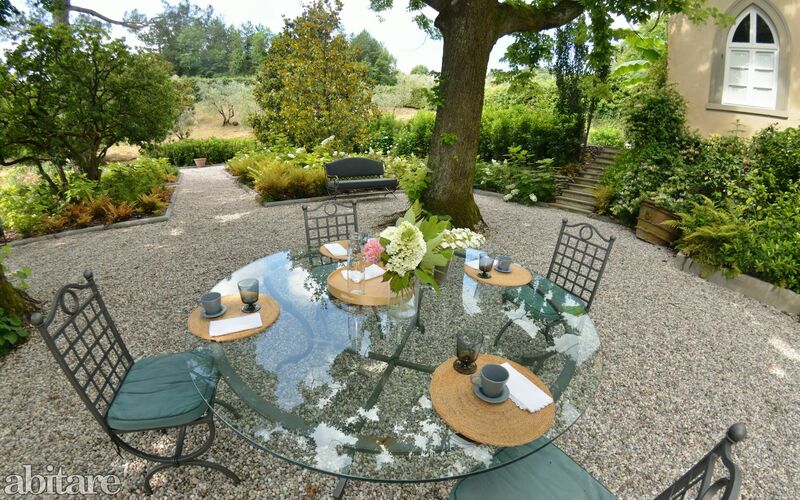 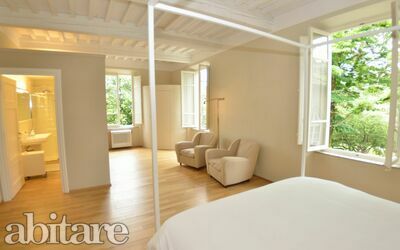 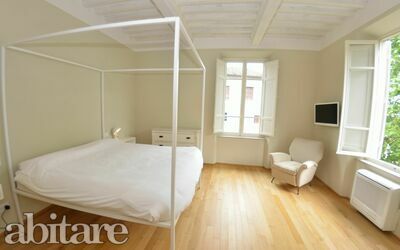 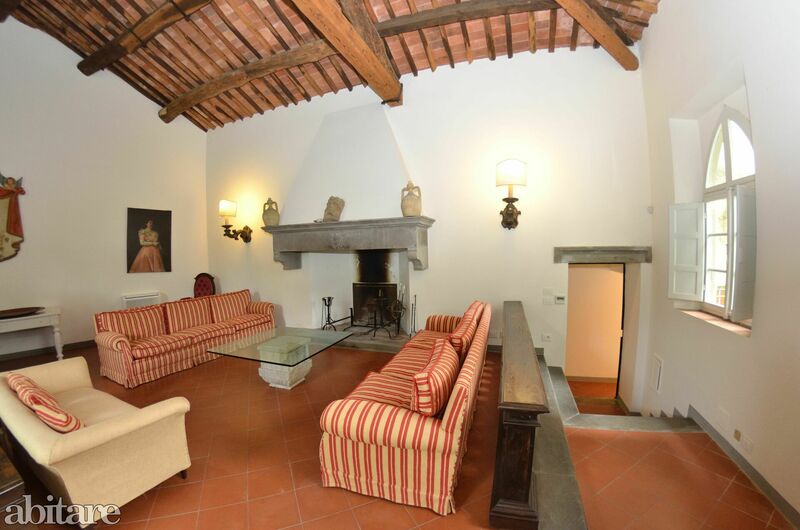 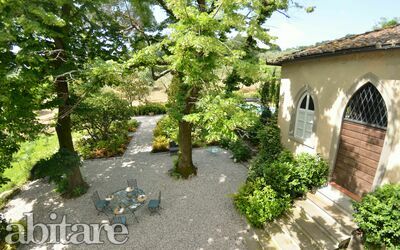 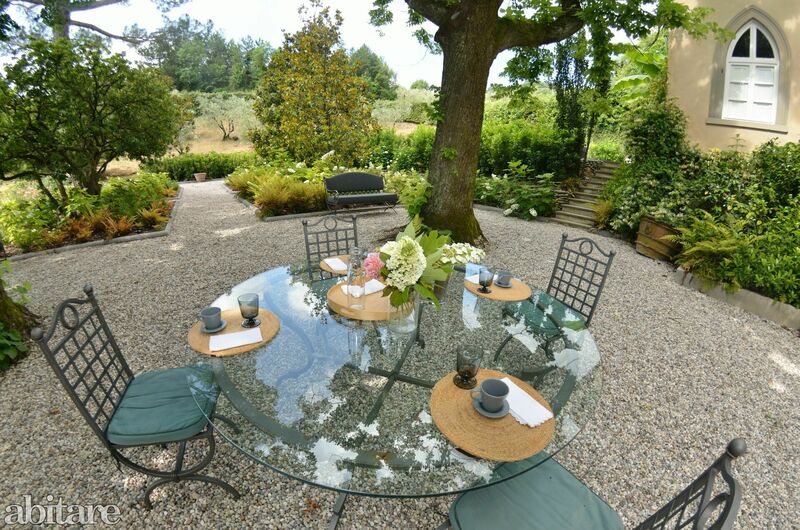 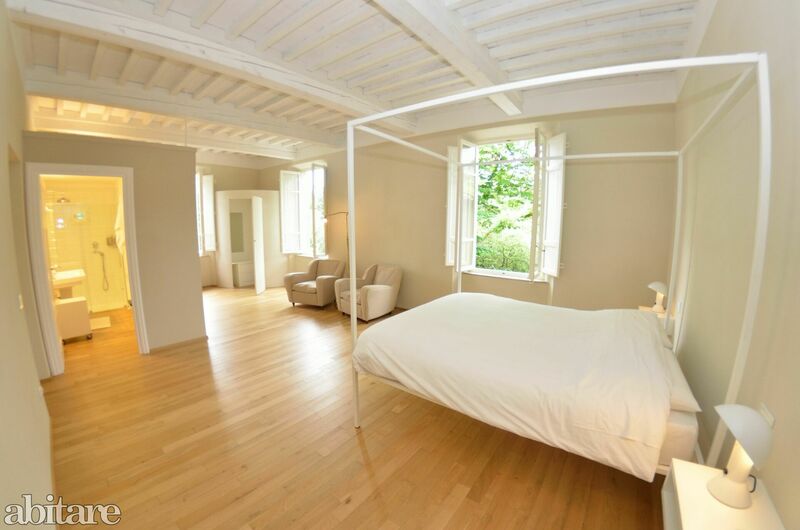 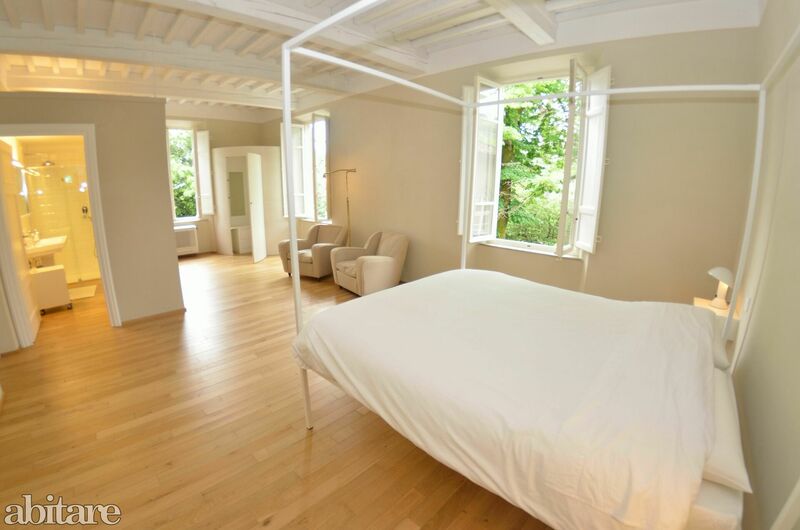 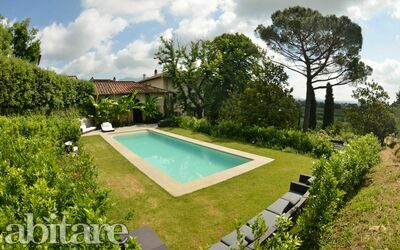 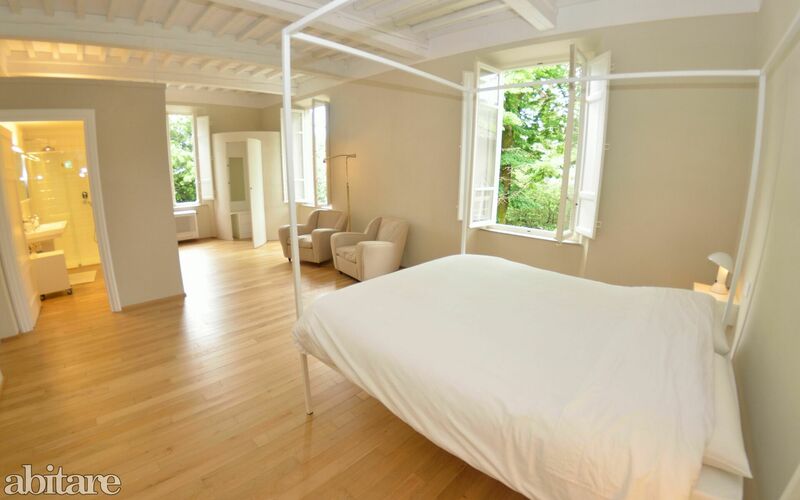 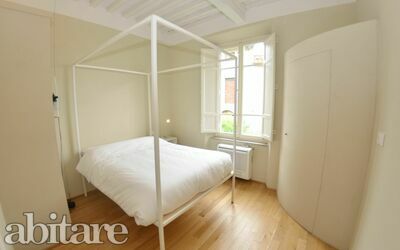 An exclusive oasis of peace – on an ideal spot to explore the important art cities of Tuscany! An excellent selection for families with children – to have the total comfort of a private and exclusive villa! There are many things you can do in the surroundings such as strolls or bike tours in the hills of the „Morianese“, excursions to the Garfagnana, to the Canyon adventure park – l’Orrido di Botri, the suspension bridge of Vagli, the natural reserve of LIPU in Massaciuccoli or just relax in one of the therapeutic spring centre in the vicinity (Bagni di Lucca, San Giuliano Terme, Monsummano, Grotta Giusti). Very tasteful furnishings and high.-end comfort make this villa to a dream destination.